Fury is an incredible movie. Find out why you should watch it. Now let’s get to the thee reasons why you need to watch it. There is a lot of blood and gore in the film but nothing can really come close to the true horrors of tank warfare. I saw people being blown up and burnt alive. Going to see Fury you don’t get that dreadful, nauseating smell of burnt flesh. That will stay with me forever. The film’s violence breeds fascinating dialogue. 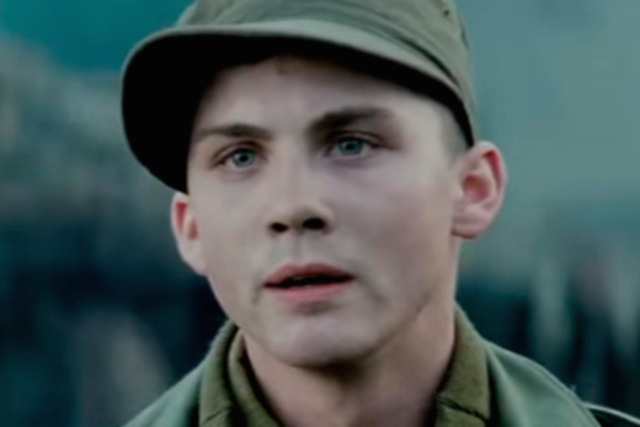 One character exhorts another to accept the horrors of war, and what must be done to defeat the enemy: “Ideals are peaceful; history is violent.” At the very least, the movie is great discussion material for debates about pacifism and violence. I found God doing Fury. I became a Christian man, and not in a f***ing bulls**t way—in a very real way. I could have just said the prayers that were on the page. … Brad [Pitt] was really instrumental in guiding my head through this. Brad comes from a hyper-religious, very deeply Christian, Bible Belt life, and he rejected it and moved toward an unnamed spirituality. He looked at religion like the people’s opium, almost like a Marxist view on religion. Whereas [Fury writer-director] David [Ayers] is a full subscriber to Christianity. Whether or not he became a Christian, he’s great in this movie. 3.) Fury reminds us that we can’t externalize evil. In the film, you see Americans commit war crimes and a Nazi show grace. As N.T. Wright argues in Evil and the Justice of God, “the line between good and evil runs right through the middle of me, and of every one of us.” It’s tempting to label Nazis as entirely evil, but things are more complicated than that. Good and evil exist in every person. Final thoughts: In the words of Ferris Bueller, Fury is “so choice.” Check it out. P.S. Don’t miss Brad Pitt’s appearance on Between Two Ferns, where he promoted his new flick. There’s some strong language, but it’s a hilarious video. Really enjoyed Shia’s character in Fury – well-crafted, and well-acted. For sure. It was a nice performance. Great call re Pitt’s appearance on Between Two Ferns. Absolutely hilarious. Ha, I loved the suntan question.